As many can remember from their own childhood experiences, sibling relationships can be both a challenge and a joy. A brother or sister can be your best friend, and five minutes later your worst enemy. The struggles of sibling relationships can sometimes seem exacerbated when an adopted child joins a biological sibling, or when there are multiple adopted children in the home. Biological children can struggle with feeling left behind as their new adopted sibling works to fit in, taking the majority of the parent’s resources and time. The transition of adding an additional child to a family can be difficult on the existing children. In addition, school age children may have the added pressure of answering the thoughtless (though not always ill-intentioned) questions of their peers about the new sibling. It can also be difficult for parents to navigate the typical sibling squabbles, followed by the statement “why do I have to be nice to him? He’s not my real brother!” How’s a parent to help foster healthy sibling relationships in adoptive family settings? First of all, have realistic expectations of the existing children in your home when adjusting to a new child. 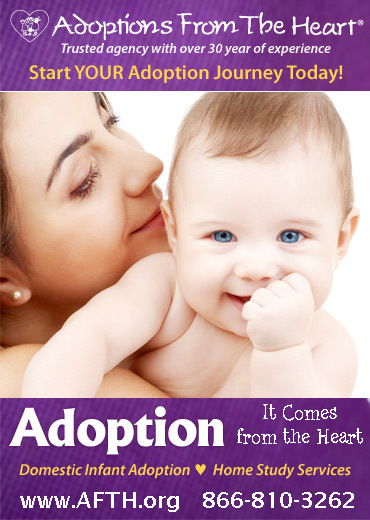 Adoption can be a traumatic event for children: their world has been turned upside down, and the parents they have had giving them attention and support before are now often invested in the adopted child, and the significant needs that adopted children can present. Many parents go into adoption recognizing the trauma of the child they are adopting, and forget to acknowledge the effect adoption can have on existing children. Having this in mind can help parents look at their children with compassion when behavior problems erupt or when children who have been previously well adjusted and well behaved seem to dissolve after the adoption of a sibling. Expect your children to regress somewhat and have behaviors that they have not struggled with in some time. Expect jealousy, sadness, anger, and bids for attention. This can be particularly difficult when parents are neck-deep with the adjustment of their adopted child. Set aside time to make your expectations and plans clear. As is age appropriate, explain to your children what needs their new adopted sibling may have, and how you expect life to be as the new sibling makes an adjustment to the family. Come up with ideas of how your children can help their new sibling, keeping in mind that this new adopted child needs to attach to his or her parents first. Siblings can play with their sibling, help with language acquisition, help prepare food or clothing for the child, or teach the child family rituals and games. Primary care of the child should still be by the parent. At the same time, plan time for the existing children. Things may turn upside down for a bit, but your child should know they still have a parent available to them and special time with the parent as well. Some families find they can stagger bedtimes, so that each child has an opportunity to spend time with their parents. Others schedule weekly lunches during the school day, or weekly ‘dates’ in the backyard while another parent cares for the other children. It can be very difficult to fit in time in a busy schedule, but it can be easier if it is thought out ahead of time. After the adjustment period has passed and your adopted child has been integrated into the family, sibling troubles can still pop up from time to time. One thing that can help is to teach your children to share their feelings and opinions, and to be available to hear them. Many children who welcome an adopted sibling learn to be silent. Their parents are already very busy with the new child, and therefore shouldn’t be bothered by their feelings or struggles. This can be very wearing on a parent who feels constantly responsible to ferret out what their children are hiding away, whilst enduring frequent arguments and fights between siblings. Instead, make it a family value to respectfully share thoughts and feelings. It can help to establish a set time where the parent is available to hear (many parents find that bedtime works well), and where the parent is not distracted by other things. It is important that if the parent encourages the child to share, that the parent honors the child’s thoughts and feelings. Don’t discard, make little of, or argue with what your child shares. Respect that your child feels the way they feel, and let them know you hear them. If corrections need to be made, do so while acknowledging that your child has shared their true feelings with you, and that you respect both their feelings and their effort to share. Many children are better able to tolerate their siblings and even enjoy them when they feel they have been heard and supported by their parents. Lastly, make family a priority. In our society, busy-ness is often our default, and families spend the majority of their time running in different directions. It is very difficult to create close bonds when family members rarely see each other. Even if it’s an hour a week, set aside time to spend as a family and to enjoy each other’s company. Make it a priority to find and acknowledge the similarities between family members, regardless of biology, and to celebrate differences. Sometimes adopted siblings struggle to find common ground, believing biological siblings are naturally connected in a way adopted siblings are not. Biological siblings have many similarities and differences. In fact, some biological siblings believe the only commonality is their shared parentage. Biology alone isn’t what creates a family. Closeness and a shared journey through life are a good start. Helping kids to acknowledge and experience this can go a long way in helping them to respect and enjoy their siblings.